International artist, tutor and author Soraya French works from her studio based at the prestigious "Project Workshops" in Quarley, Hampshire. She combines a successful exhibiting career with writing articles for the UK's leading art publication "The Artist" and carries out experimental workshops both at home and abroad. The success of her art books, commissioned by Harper Colllins, have brought her international acclaim and following. Soraya works in all painting media but is particularly known for her vibrant mixed media paintings of flowers and people in everyday life situations. 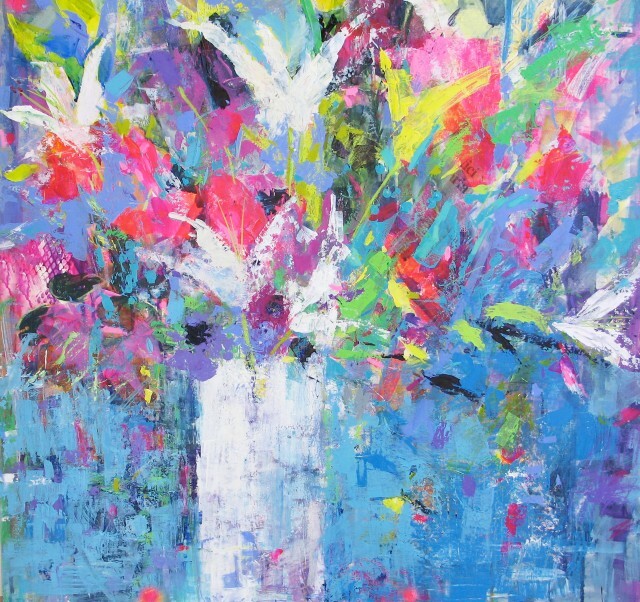 The use of vibrant colours, light and expressive textures are prominent features of her work. She takes inspiration from her travels, as well as the beautiful landscape around her. The ambiguity and evocative quality in her painting leaves something for the viewer's imagination. She has been the recipient of a number of prestigious art awards in the last few years and her work is held in many private and public collections both at home and abroad. Soraya is currently the President of The Society of Women Artists and curates their annual exhibition at The Mall Galleries in London.